What does tolerance mean today? Frank Furedi introduced a discussion on contemporary challenges to the classical liberal ideal of tolerance. Tolerance is a virtue in all regards, except when it isn’t. In the wake of last year’s riots there were plenty of conservative calls for A Clockwork Orange-style ‘zero tolerance’ clampdowns on Britain’s apparently feral youth. David Cameron can simultaneously reject calls for a burqa ban as against the British tradition of tolerance, yet call for an end to the ‘passive tolerance’ of multiculturalism which permits hate speech of Islamists. In contrast, liberals proudly counter that they will ‘tolerate everything except intolerance’. Yet when the accusation of ‘intolerance’ can be applied to opponents of gay marriage, footballers accused of using racist language and those who wish to send their children to a faith school, it becomes increasingly unclear how tolerance differs from respect or approval. 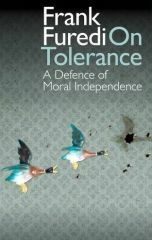 The tradition of tolerance – through John Locke, Voltaire, Kant and JS Mill – emphasised the importance of moral independence, not relativism. Locke tolerated what you thought because no one could ever establish tyranny in your heart. Mill also tolerated what you did – so long as it did not harm others. And crucially he valued the existence in society of views and opinions he found objectionable – their existence vital to the pursuit of truths which we should not assume we know. Yet today, the concept of harm can be extended to include offensive or hurtful remarks. Some even argue we should not tolerate acts which harm only ourselves: banning smoking; curbing binge drinking; warning against ‘junk’ foods. And, in the name of protecting tolerant societies from their enemies, the war on terror has justified intolerant measures – laws against incitement to terrorism or religious hatred – in many countries. Does the concept of tolerance inevitably lead to non-judgemental indifference and moral relativism? Is it naive idealism to tolerate intolerance, or is tolerating offensive and shock part of liberty? How do the ‘tolerant’ go about challenging ideas they disapprove of or detest and can there ever be a pragmatic trade-off with security and protection from harm? Anthony Burgess pointedly originally gave A Clockwork Orange 21 chapters as a reflection on the US’ age of adult maturity. Does living in a tolerant society rely on an equally strong concept of grown-up responsibility? This discussion is a satellite event of the prestigious Battle of Ideas 2012 weekend festival of ideas being held on 20 and 21 October 2012, hosted by the Barbican, London. Now in its eighth year, the Battle of Ideas festival comprises 75 debates and satellite discussions confronting society’s big issues and unresolved questions. It affords the opportunity for some clear thinking, rational debate and agenda-setting - above all, it's future-orientated, whilst retaining a healthy regard for the past achievements of humanity.